Orchid storm in the waters west of Sumatra, which is monitored by the Tropical Cyclone Warning Center (and its counterpart) Climatology Meteorology and Geophysics Agency (BMKG) produces several effects. Delivery of aid to tsunami victims is hampered and crossing through the Sunda Strait is threatened disturbed. Now, its counterpart, has had forecast the development of the storm. Today, this tropical storm rotation speed increased to 95 km / hour. Wednesday (3/11/10) tomorrow, the speed of tropical storms will increase. "The speed of rotation tropical storm tomorrow estimated 100 km / hour. Wave of the sea may still be high so it is still disturbing activity," said Fahri Radjab A, Division Head of the tropical cyclone and its counterpart. Fahri said the tropical storm will begin to subside in the coming Friday. November 5, the storm may have subsided, the speed is predicted to 75 km / h, but the distance is already away from the territory of Indonesia, "said Fahri. 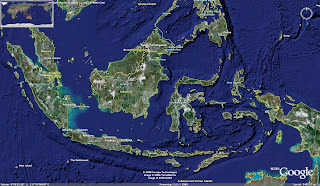 When the storm began to subside and away from the territory of Indonesia, the ocean waves will decrease. Orchid storm in the area of supervision and its counterpart (0 degrees to 10 degrees latitude, 90 degrees east longitude to 141 degrees east longitude) for 30 hours, starting on October 31, 2010 to 13.00 pm on November 1, yesterday. "Once at 1 pm, the storm had entered the Australian surveillance area, but we also still monitoring," said Fahri. Asked about the possibility of Tropical Storm Orchid attack Indonesia's land area, Fahri said, "In theory it's impossible. Nature tropical storm itself is moving away from the equator, so it is not possible to attack the mainland territory of Indonesia. Indonesia would become the territory of 'producing' this storm and sent to other areas. " He said that if a tropical storm formed in the western waters of Sumatra as Tropical Storm Orchid, then a tropical storm it will be extinct in the sea. Meanwhile, if the tropical storm formed in the southern waters of eastern Indonesia, a tropical storm it will be extinct in the west coast of Australia. Examples of tropical storms that strike the mainland is a tropical storm Megi who attacked the Philippines some time ago and Tropical Storm Katrina is attacking the United States several years ago. Tropical storms, typhoons and hurricanes pointing to the same thing, namely the tropical cyclone due to rising sea surface temperature, concentration of low pressure in a region and the rotation of the earth.